Spacious 4 bedroom, 2 1/2 bath home home in Lloyds Crest. 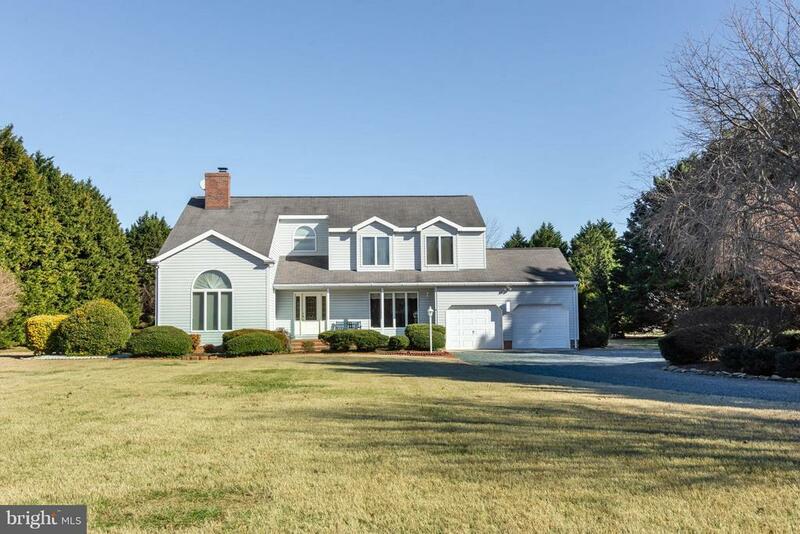 Situate on a lovely 2 acre lot, the home offers approx. 2700+/- sf . Large eat in kitchen with granite kitchen counter tops and access to screened porch. Family room off of the kitchen has nice hard wood floors. Formal living room with wood burning fireplace, formal dining room. Good sized rooms make this main level great for entertaining. Second floor master bedroom and recently remodeled master bath. Master bedroom has loft/sitting room. Three additional bedrooms and another bath complete the second floor. Directions: Rt. 50 E, left on Landing Neck Rd, left on Lloyds Landing Rd, right onto Wellington Dr.